This post concludes my current journey of exploration of movement training for Motion Capture performance, specifically for Film and Video Games. 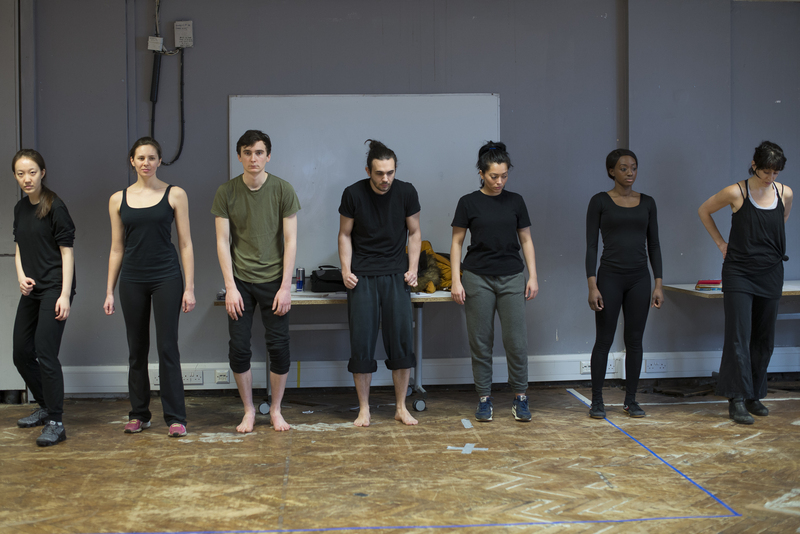 In May 2017, I created a workshop series entitled Embodying Your Mocap and began running movement sessions that explored ways for the actor to become more receptive to a Mocap working environment. It would also prepare them for the type of physical awareness and performance work that would be required, based on the needs of the technology. During reflection upon completing The Virtual Body and Space workshop in September, I had discovered that participants were beginning to use their exploration of movement to connect with the psychology of characters that were starting to emerge throughout the session. 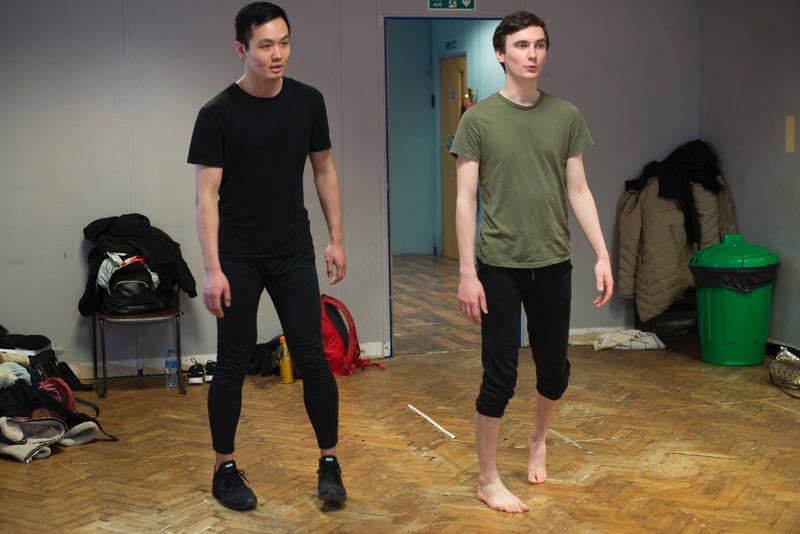 Through this, I created the third and final In-Character workshop that would consist of exercises particularly focusing on ways to create and access character types and how certain movement tools could be used to help maintain thorough, connected and in-depth performances. As mentioned in my first blog post, the first workshop was created and based around the movement components that I felt solidified a well-executed Mocap performance. In-Character was structured with the same objective where the workshop consisted of areas that I felt demonstrated a strong and embodied understanding of performance supported by clear knowledge of how it is read and transmitted through the technology. One of the areas explored had a significant focus on the breaking down and close analysis of physical components that would stem from, for instance, an emotion, a physical state or a neutral walk. This particular method was the starting point of the final product and worked backwards, discovering and identifying the working mechanisms of the performing body. This would allow the participant to knowingly highlight certain aspects of their physical work and adapt them accordingly to effect distinct changes to their performances. An example of this was evident in an exercise that explored stance, body shape and positioning. The participants were given a number of adjectives that described an emotion or type of personality and were asked to explore different physicalities drawing attention to their body outline, making an impression in the space and the silhouettes created (as seen in Image A). As they began working in pairs, they were then able to find positions that felt accurate and could then discuss how it looked and why the physical choices were made (as seen in Image B). Through the discussions and exploration, the participants could distinguish what specific physical components could define a type of character. They were also challenged to consider the data being captured from their physicalities, restrictions that may arise from a Mocap suit with protrusive reflective markers and then see how the choices made could be adapted but still have the same effect. As a movement practitioner coming from a dance background, my practice has been deeply shaped by the notion that changes to the external can affect the internal. By this, I mean that I instinctively approach creative work by looking at the exterior body, such as form and shape, and work with its connection with the interior body such as mood and emotion. I thought this might be an interesting relation to work from, as it would enable the participants to experience a highly visceral and organic method that would then begin to produce productive and thorough physical performances. In the workshop, I used this as a basis to help create an exercise that looked at a simple pedestrian movement – the walk. I had dissected the universal sense of the walk into elements and instructed the participants to subjectively analyse their own walk. Once this was established, they then continued to explore different variations of a walk referring to these elements. For example, as seen in Images C and D, they combined weight placement with foot position, discovering what character(s) emerged and how this effected their full movement. They were also encouraged to consider the subtleties of their physical choices to begin to understand the detailed level at which the motion capture technology works from when capturing data from physical action and movement. 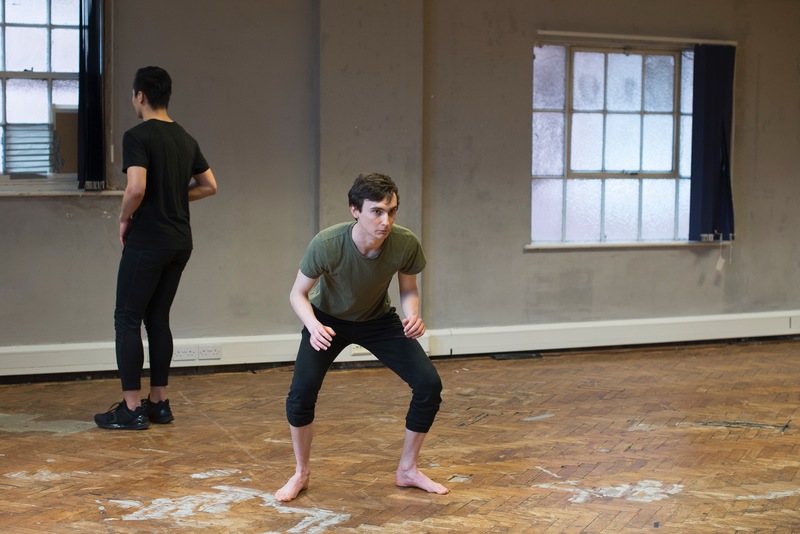 It was essential for the participants to recognise the importance of how minor subtleties drawn from their performances could be manipulated and altered to transform a character’s physicality and expression. I felt it was also significant for the participants to allow their bodies to work articulately and with creative precision. Through this exploration, we were finding that there were efficient ways to access an organic psychological connection to emerging characters. One of the participants expressed that by focusing on different ways of using her breath, she was discovering that she would experience feelings and internal thoughts connected to the breath. It became clear that this could be useful for Mocap performance as a quick tool for character building effectively engaging with the character’s internal world and letting that manifest physically into the external world. 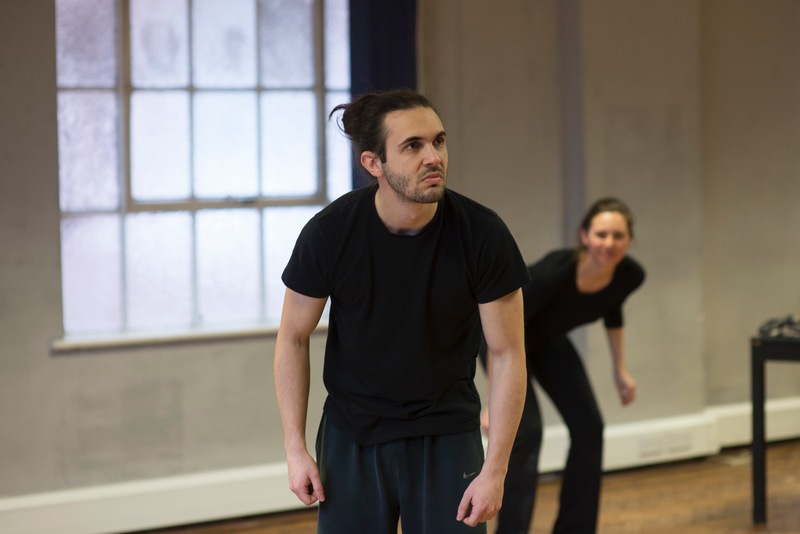 The overall intention of this workshop was to provide a space that allowed participants to immerse themselves into the characteristics of their created characters. This could allow them to remain “in character” and maintain the physical components that essentially create the foundation of their characterizations. Once this is established, it would then create a self-initiated process that the participant could further utilize when building more complex characters. 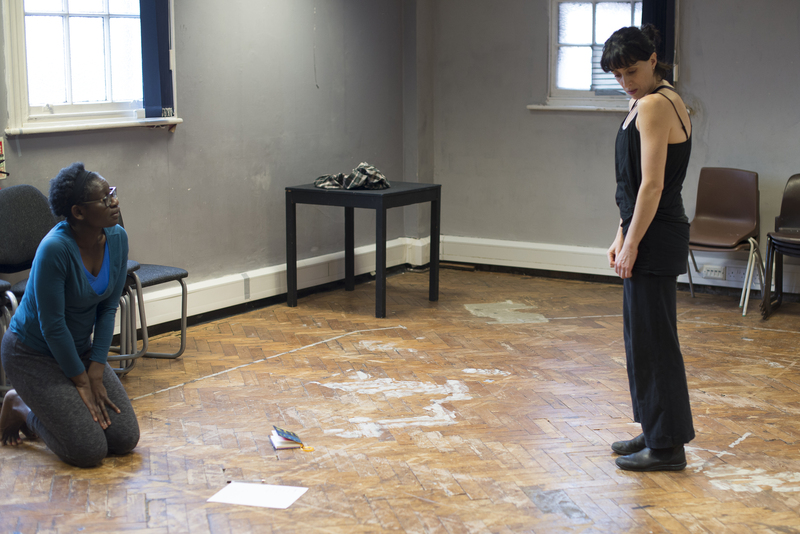 This work, in conjunction with the previous workshops with areas explored on space, environment and basic technical knowledge, could be used as a device to help an actor enter Motion Capture work with clarity and basic understanding of how their physical creations work in relation to the technical processes. These workshops have further proven the creative and dynamic benefits of this type of movement practice for Motion Capture. Through the movement training I am developing, I aim to highlight the bodily elements of performance, opening up creative flexibility to invent identities, stories and worlds that can be executed and delivered through the technology and enhanced by the animation. It is very clear that deeper knowledge of the mechanics of the technology is required in order to completely comprehend how a movement practice could strengthen and support character and overall motion capture performance. Therefore the next steps of my journey would suggest spending significant time in a Motion Capture studio. I believe it would be very informative to explore various levels of nuances within a type of physical performance and discover how this can begin to be translated into film or video game content. I would like to work closely with various environments and virtual settings using technology, such as pre-visualization cameras and screens. I’d use the material explored in the Virtual Body and Space workshop as a stimulus to further develop an understanding of the body’s relationship to space and assisting the actor to creatively maneuver and exist within a digitized world. I would also continue to explore character building techniques and adding context through the use of 360-degree camera awareness, Mocap suits and markers. In conclusion, it is clear that the curiosity and interest in Motion Capture has considerably increased throughout the years through its expansive use within the arts (theatre, live art, dance, TV dramas). Also through personal experience in the last year, I have discovered a growing interest among artists just through running the Embodying Your Mocap series and teaching independently in institutions. On reflection, I look back on my initial enquiry where I questioned the acknowledgement of the actors’ work in this field. 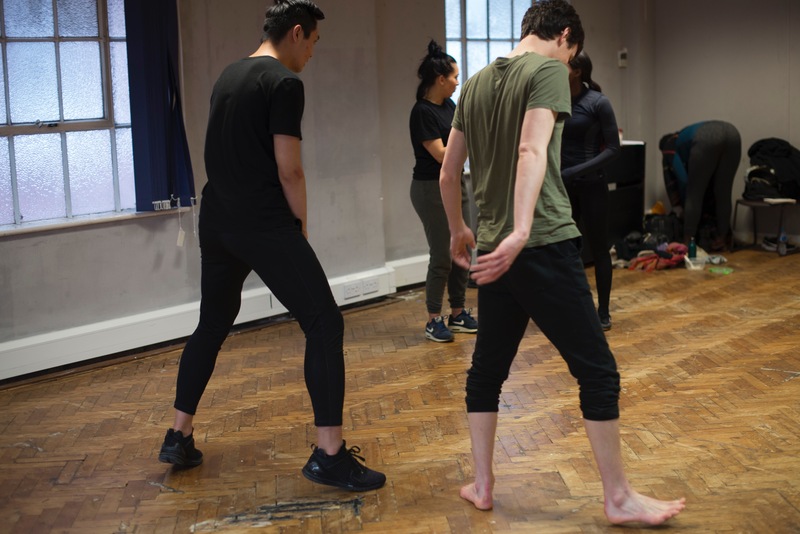 Through this the question arising now is whether the implementation of these types of movement practices will create a wider awareness of the performance work involved in Motion Capture. Consequently, will this affect the way the Motion Capture process is publicly viewed and in turn offer opportunities for the actors’ work to be further recognized, celebrated and awarded?